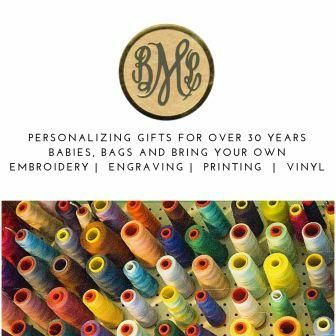 BayberryMonograms.com -- We'll GIft Wrap Your Selection -- No Charge! If you are buying one or more items for gifts, all you need to do is select Gift Wrapping in the shopping cart. There's even a space where you can write a message for us to put on the gift card we'll enclose. We wrap all of our gifts in a textured white wrapping paper, tie it with an appropriate colored ribbon and attach one or our gold Bayberry Monograms seals.